Yesterday was Mother’s Day. 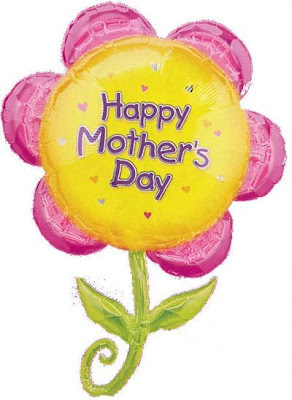 The day set aside to honor mothers and motherhood, maternal bonds, and the influence of mothers in society. For many women it was a happy day, spent surrounded by children and grandchildren. But, we all had a mother so we do have someone to celebrate on Mother’s Day. Where did the idea to honor motherhood come from? Its roots lie in the British Mothering Day, which disappeared when the English settlers came to America. Then in 1870 Julia Ward Howe , author of The Battle Hymn of the Republic, conceptualized the idea of Mother’s Day in her Proclamation of 1870. Read the poem here. In 1872, Howe asked for of a “Mother’s Day for Peace” celebration on June 2 of every year. Only a few states bought into Howe’s idea and eventually the movement died. However, a West Virginia women’s group headed by Anna Reeves Jarvis adapted Howe’s holiday to be a day set aside to re-unite families and neighbors divided by the Civil War. That Mother’s Friendship Day evolved into the Mothers’ Day we know and celebrated yesterday. If you weren’t able to be with your mother, did you take up Groupon’s offer of a perfect child stand-in? For a mere $25,000, Groupon would send an actor to spend the day with your mom. It’s not a joke. Here’s the link. If you forgot to acknowledge Mom yesterday, you can do it today. She’ll be thrilled to hear from you no matter what day it is. Or you might check out Groupon. They may have another deal for honoring your Mother on the day after Mother’s Day.